This week Access All Areas members have a new collection of textures to download, courtesy of Fox & Bear. The Aqua Modern Marble Ink Textures collection contains 7 images of beautiful gradients with a modern colour palette. They’re brilliant resources for all kinds of design projects to add interesting backgrounds, or colourful overlays to your artwork. Each file is an extra large 5616x3744px in size, making them great assets for designs destined for both print and web. 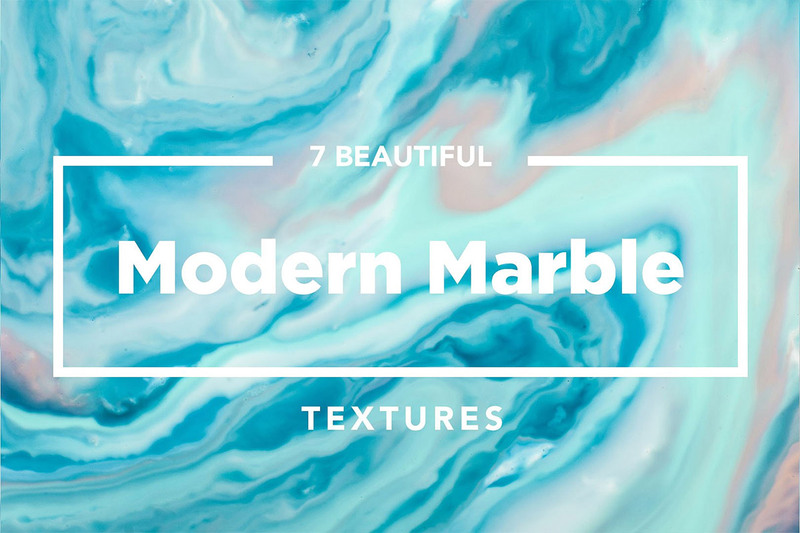 This collection of 7 modern marble textures/backgrounds is now available for Access All Areas members to download. Each image features a natural marbling pattern with various colours, including soft blues, pinks and creams. Use them as backgrounds to your designs, or overlay the textures with different blending modes to allow the colours to interact with other imagery. What kind of licensing is included with these free products? I love the colors in these! How pretty! Thank you! And, thank you to Brown Bear! I will have to go check out that shop!